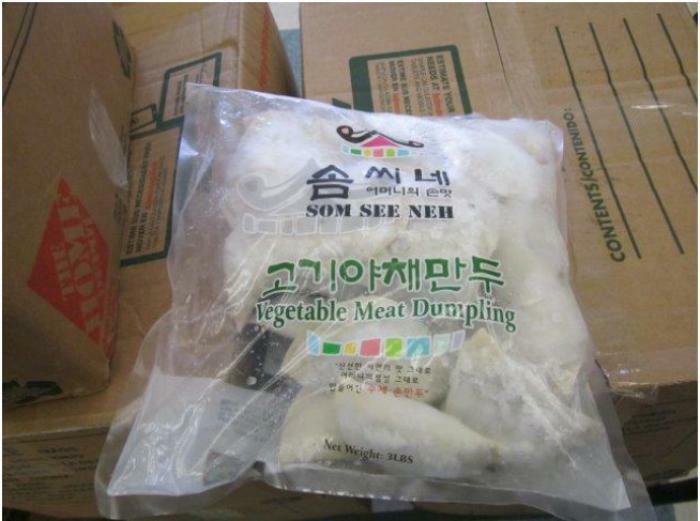 J & Y Dasung, a Los Angeles retail firm conducting business as Som See Neh, is recalling approximately 178,335 pounds of frozen pork dumpling products. The recalled products, which do not bear the USDA mark of inspection, were shipped to retail locations in Southern California. Consumers with questions about the recall may contact J & Y Dasung at (323) 373-0650 from 9 a.m. to 6 p.m. (PST) Monday through Saturday.